Importance of business registration: 9 reasons why you should register your business - Law Firm in Nigeria - Lawyers in Nigeria. Avoidance of Personal Liabilities and Risks: Incorporating your business eliminates most of your personal liability and risks. The extent of your liability is tied to the number of shares you hold in the company. Your personal assets cannot be seized to repay the debts owed by your business and you cannot be held responsible for the debts unless you had personally guaranteed the debt/loan. Your incorporated business is a separate legal entity. Separate Legal Entity. Your incorporated business is deemed by law to be a separate legal entity. It has rights and privileges as a human person; can own property (it is illegal for an unregistered business to buy or sell land in Nigeria), carry on business under its common seal, incur liabilities and sue or be sued in its own name. You can, therefore, take calculated business risks and protect your private assets from certain financial and legal risk. Equity Financing. Your ability to attract investors and raise money for your business will be easier. Investors are likely to invest in a registered company rather than an unregistered business that has no formal structure in place. If your business is registered, you can raise money by equity financing, which involves selling shares in your business to prospective shareholders, angel investors or venture capitalists. Equity financing is advantageous in that the money raised does not have to be repaid and it incurs no interest. The company will only have to pay the dividend to the shareholders where profit is made. Raising money could be essential for the growth and expansion of your business. Reputation and Prestige. Your business reputation and prestige is enhanced. The incorporation of your business can suggest that the business has permanence and is committed to effective and responsible management. It gives third parties including customers, clients and contractors a sense of confidence. Having Ltd., Plc., Ltd/Gte., as part of your company’s name may increase your business, as third parties will perceive your business as being more stable than unregistered business. If you are a contractor, you may also find that some government MDAs and companies will only do business with incorporated entities. Perpetual Succession. An incorporated business has its own legal identity which affords it perpetual succession. Third parties contract with the “company” and not you or other directors, shareholders or employees. This means the company has an unlimited life span; the business will continue to exist even if the owners or directors die or leave the business, or if the ownership of the business changes. A company’s existence will only cease if it is formally wound up by the order of court. Amongst other benefits, this allows your business to outlive you and even generations. Debt Financing. Registering your company gives you the ability to borrow money from institutional lenders or commercial banks to finance your business. Lenders and credit institutions will want to see proof of your business registration with the Corporate Affairs Commission as condition precedent to extending credit to your business. You can use debt financing as a tool to increase the growth of your business. Corporate Bank Account. Operating a business bank account is an important asset to your business because it enables you separate personal activities from business activities. You need to provide proof that your business is registered with the Corporate Affairs Commission to open a corporate bank account in Nigeria. It is more professional to give your clients a corporate bank name for payment instead of your personal name. Public Perception & Brand Credibility. Registering your company enhances your brand image credibility and perception of your business. This has the effect of improving your business future dealings with third parties, as many businesses will only hire or engage with registered companies rather than individuals. Incorporating a business can therefore open up new vistas and opportunities that would otherwise not be available. Legal Protection. Once your business is registered or incorporated with the Corporate Affairs Commission, your business name is protected and nobody can use the same name or even a name that is similar to it throughout Nigeria. This has the benefit of legally protecting your corporate image and business name from passoff or unauthorized use. 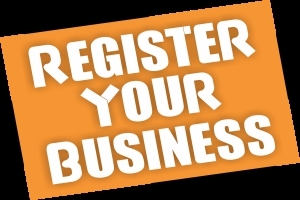 If you are starting a new business or looking to grow your current business, the importance of business registration cannot be over-emphasized. 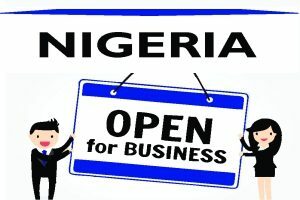 Business registration offers you a greater advantage, protection from legal liabilities and openings to new vistas. To get started with your business registration including drafting the Memorandum of Association, Articles of Association of your company, and pinning down key issues related to the internal governance structure of your company, request consultations at +2348039795959, 08039795959 | Email: lexartifexllp@lexartifexllp.com | Website: http://lexartifexllp.com. The permission given to freely copy this article is only on the condition that BARR. EDOABASI UDO is referenced and duly acknowledged as the Author using the following format: “This article was written by Barr. EdoAbasi Udo. View the original article at http://lexartifexllp.com/importance-of-business-registration/”. Note that any copyright infringement shall be punishable under applicable law. ← BUSINESS LAWYER: Why is getting help from a business lawyer so important?